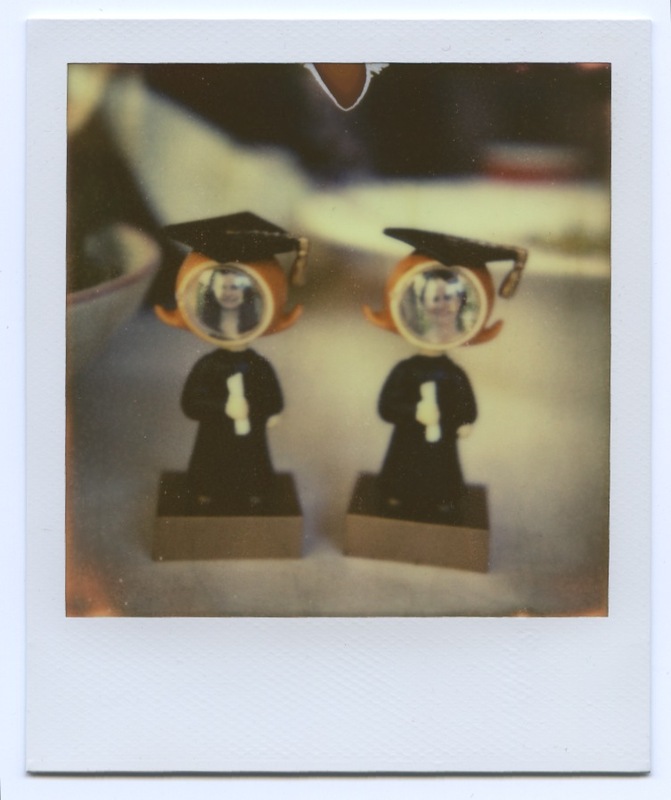 Madeleine and Julia graduated High School this past weekend. It feels like yesterday I was holding them in my arms trying to sooth their colicky screams. Two beautiful women have grown from what I know to be the two most horrible babies in creation. We used to call Colleen’s apartment in New York City “the black hole of babydom.” In the beginning, my mother would stay with Colleen and John during the week. Lisa and I showed up on the weekends to rock and feed these two. I can’t tell you the number of friends who would also stop by to help. Madeleine and Julia cried night and day and if one went to sleep the other kept going. There was never a moment of peace. One night, Julia was tied around my neck in one of those hammock baby holders. She was about 3 weeks old. I was told, “Don’t come back until she is asleep.” Julia was crying at the top of her lungs. I walked from 79th Street to 96th Street on York crossing over to Fifth Avenue on 86th Street. I zig-zagged around the Upper East Side growing more and more hungry with each step. Finally, I stepped into a Chinese restaurant to order myself some food. Julia was still screaming and as I went to order I burst into tears. The owner’s wife took pity, served me dinner while rocking the inconsolable Julia. She refused to let me pay for dinner as she handed back my bundle of misery. I didn’t have the heart to admit I was just the aunt babysitting…. The mother was at home with it’s screaming double. When I returned with a sleeping Julia, I didn’t confess I had a free dinner or help while I ate it. Boasting in “the black hole of babydom” would have been wrong. Watching these babies now march up to get their diploma’s with multiple honor ribbons draped around their necks, I swell with pride. Colleen has done an amazing job with these girls and I’ve told her so. She’s not crying as they fledge as Colleen is an amazing woman herself. She put her dreams on hold to raise these two. I can’t wait to see the woman she now becomes. We celebrated with a luncheon. 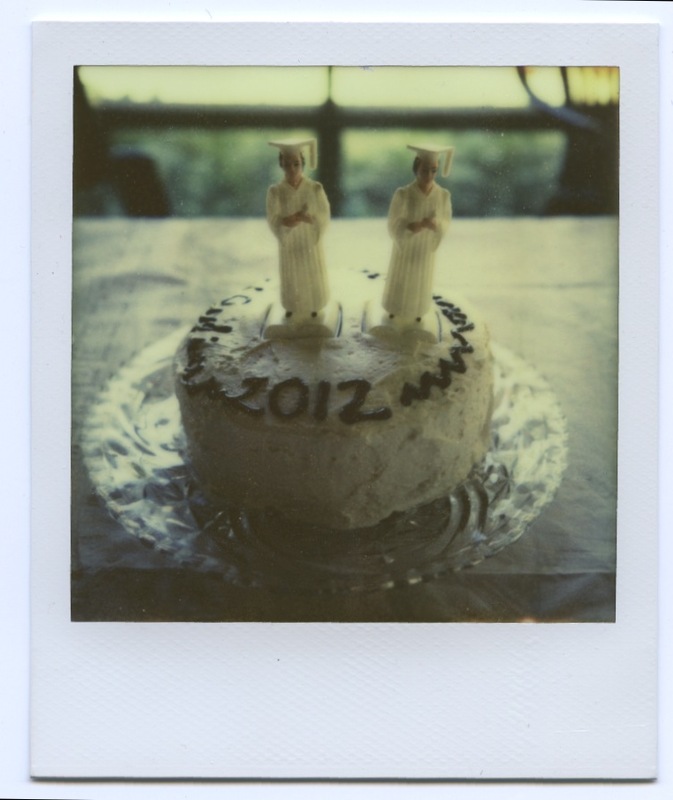 Colleen made a refreshing quinoa salad and another friend made a gluten-free graduation cake. Here are Colleen’s rough verbal directions as to how to make the salad. 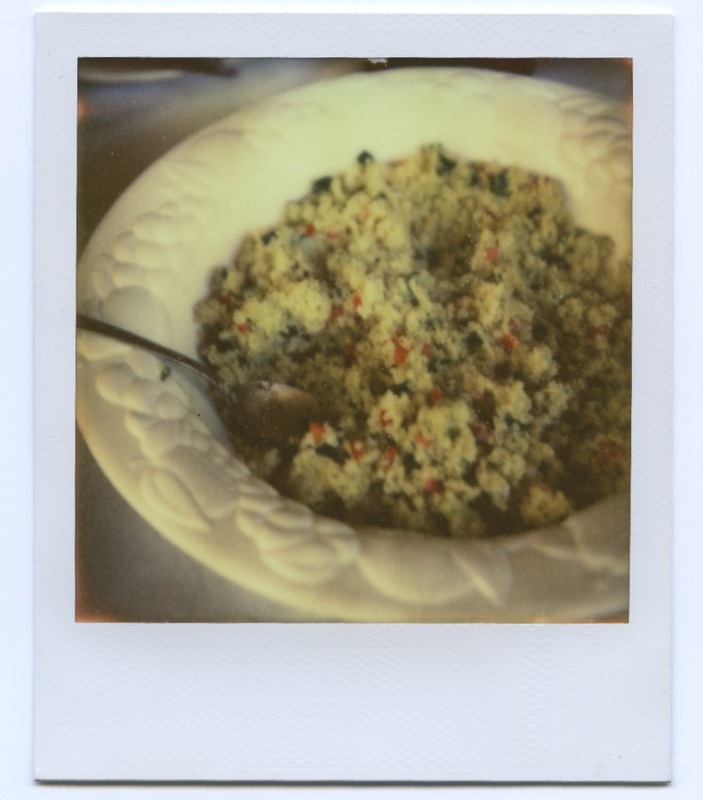 Spread the cooked quinoa on a cookie sheet to cool. Meanwhile, prepare the rest. Make this salad a day in advance and add more dressing if it has absorbed overnight. This entry was posted in Essay, Madeleine and Julia, Memories, Uncategorized and tagged Colick, High School Graduation, Quinoa salad. Bookmark the permalink.